You’ve come to the right place to find the fun for your Los Angeles vacation! Roughly 75 miles north of Mexico and 400 miles south from San Francisco, “The City of Angels” enjoys one of the world’s most idyllic climates. And, there’s lots of people enjoying it there, too! With over 10 million residents, Los Angeles County’s population is the largest of any county in the United States. Bounded on the west by roughly 75 miles of Pacific coastline and then in a semi-circle by mountains – north to south: the Santa Monica, the San Gabriel, the San Bernardino, the San Jacinto and the Santa Ana ranges – its 88 interconnected cities sprawl some 4,000 square miles. If you’re unfamiliar with the area, you can follow this link to view the Los Angeles Tourist Map and there are also links within that article to other handy tourist map resources for the Los Angeles Area. 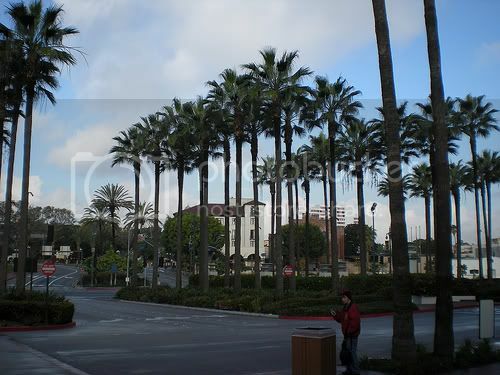 Los Angeles is also known as “The Entertainment Capital of the World” and for good reason. Not only is it a film and television industry Mecca, there’s simply a lot of entertaining things to do here! Endowed with more museums than any city in the nation (over 300), world-renowned tourist attractions, exceptional restaurants, shopping opportunities galore and truly spectacular natural surroundings, it’s no wonder Los Angeles is a top-ranked vacation destination. Perhaps overshadowed only by “automobiles” (and the roads, traffic and smog associated with them – although the latter is presently much improved thanks to tough emissions controls), Los Angeles is best known for its ethnic diversity. This has been the case, actually, since the city’s inception in September 1781, when Indians, blacks, mestizos and Spaniards were all represented among the 44 original settlers arriving from Mexico’s Sonora and Sinaloa provinces. In 21st Century Los Angeles, with the world’s third-largest Hispanic population (after Mexico City and Guadalajara), signs in Spanish are as common as ones in English in some areas, and you may also see signs in Chinese, Korean, Japanese, Armenian and Russian in other areas. The Los Angeles area has the second largest foreign-born population of any major U.S. city (after Miami), and the Los Angeles International Airport (LAX) is the number one entry for immigrants in the country. This Los Angeles vacation and travel guide also provides information for some cities in Ventura County (e.g., Ventura, Ojai and Thousand Oaks), but Orange County cities that are often associated with Los Angeles (e.g., Anaheim, Santa Ana, Huntington, Newport and Laguna Beaches) are covered as an entirely separate section (see the Orange County section). Santa Catalina Island, while technically a part of Los Angeles County, is also covered in the Orange County section, as one can ferry to the island from several Orange County locations (e.g., Newport Beach, Marina Del Rey and Dana Point) in addition to the ferries that depart from Long Beach and San Pedro. 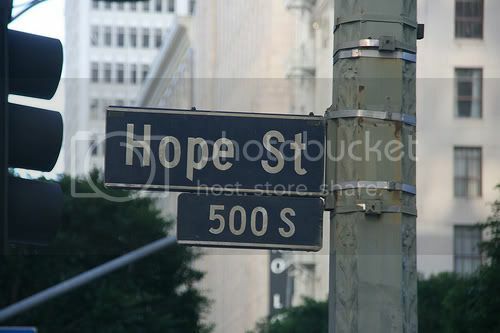 Photo of Los Angeles street sign by Diario de un pixel via flickr (Creative Commons) and photo of Los Angeles downtown street (near Union Station) by pferriola via flickr (Creative Commons).